Brandon Browner appeared in eight games in 2013. Seattle Seahawks cornerback Brandon Browner learned that his appeal of a one-year suspension for violating the league’s substance abuse policy was denied on Wednesday. Subsequently, the league suspended the third-year cornerback indefinitely. While Browner is able to appeal the ban again, his 2013 season over. Browner, 29, was a Pro Bowler in 2011 after starting all 16 games and intercepting six passes for the Seahawks. A four-game suspension in 2012 for violating the NFL performance-enhancement drug policy, caused a dip in his production. Although much can change in the coming weeks, let’s answer some questions about the complex situation and what this means for Browner’s future. Could a year-long suspension have been avoided? Yes. Browner reportedly pass on accepting a deal earlier this month, which would have significantly shortened his suspension, according to FOX Sports 1’s Mike Garafolo. 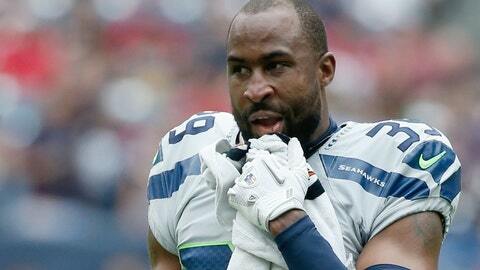 If Browner accepted the deal, he would’ve been able to be reinstated in October of next year. Instead, he is suspended indefinitely and won’t be able to apply for reinstatement for at least one year. So when and how will he get back on the field? Only Roger Goodell can determine if Browner will be reinstated in one year. If the commissioner grants him that opportunity, Browner will remain in Stage 3 of the treatment program for the rest of his career. What is Stage 3 of the league’s treatment program? Browner will be subjected to random testing, possibly10 times each month. He also could be required to undergo further treatment if his medical director deems it necessary. If he was under contract with a team, his pay would be compromised. Stage 3 is an extension of Stage 2, a 24-month intervention plan, but the discipline is much more strict. Any player who reaches this stage will remain in it for the rest of his playing career? How did Browner end up in Stage 3? It has been widely reported that Browner was placed in the more painstaking stage because he tested positive for marijuana in 2005. When Browner was released by the Broncos shortly thereafter, he began playing in the Canadian Football League. The NFL continued to follow up during that period, but Browner missed a series of tests. Browner reportedly argued that he was never notified of the tests, but the league has proof, according to NFL Media. How dramatically does this affect Browner’s pocketbook? In the final year of his three-year deal with the Seahawks, Browner was set to cash in during the free agency period in March. That won’t be the case now. Teams will be cautious of giving Browner a multi-year deal because of his checkered past. What are people saying after the suspension was handed down? “I want to thank the Seahawks organization for the incredible opportunity they gave me when they took a chance on a player who was out of the NFL and playing in the CFL for 4 years. I also want to thank all of my teammates, coaches, trainers, staff and the 12’s for their support, respect, and friendship and for helping me grow into the player, father, and person I am today. I have been treated with nothing but first class by everyone associated with the Seattle Seahawks and for that I am forever grateful. "We will continue to exhaust all administrative remedies," Schaffer told the website. "If not successful, we will sue the living daylights out of the league."